Hi everyone! Fall is just around the corner. That means more time for all of us to work on our stamp collections and attend one or more of the local or national stamp shows in Canada. What follows is a brief update on the activities of The Royal Philatelic Society of Canada/La Société royale de philatélie du Canada (“RPSC”) . Plans are well under way for Royal/Royale 2019 to be held in late June 2019 in Mississauga. The RPSC hopes to see you there! Some clubs are exploring the possibility of hosting the annual convention in future years. More news to follow. The BC Philatelic Society has advised that it will host a national show — Vanpex — in 2019. Exhibits and volunteers are most welcome. There are at least three excellent national shows in Canada during the remainder of 2018 in addition to the National Stamp and Coin show in Mississauga in early September (8-9). Novapex is occurring in Halifax the following weekend, BNAPS is in Québec City the weekend after and Canpex is in London Ontario on October 13-14. There are a number of regional and local shows as well. If you wish to let others know about your shows, please let us know so we can publish details in the RPSC newsletter. The RPSC is interested in seeing more collectors attend RPSC chapter meetings. We hope that the newsletter will assist in this regard and will contain details of upcoming chapter meetings, including the names of speakers and locations. Even if members cannot attend meetings, they may learn of interesting topics and be able to source presentations from those who volunteered to share information. Please send us details of upcoming meetings, locations, speakers and topics so they can be published in the RPSC newsletter. We need to hear from you our members and our affiliates!!! Therefore I am again repeating details of the Programme will follow but essentially the following is a synopsis. Any living member of the RPSC plus any living individual who is a member of an RPSC Chapter or Affiliate. Fellows and Directors of the RPSC are not eligible. Any Chapter or Affiliate may forward the names of any number of nominees at any time of the year. The nomination will be forwarded to the Awards Committee of the RPSC who will immediately prepare and send the Certificate of Thanks to the Chapter for presentation. Each award will be recognized by a Certificate of Thanks from the RPSC . A current member of the RPSC will receive a 25 percent discount off of one year’s annual membership dues in the RPSC . Recipients who are not and have never been RPSC members will be eligible for a 50 percent discount off of a one year membership in the RPSC. Recipients who are Life Members of the RPSC will receive a Certificate of Thanks only. The name and details of each recipient’s contributions will be reported in the RPSC electronic newsletter . Do you wish to share your knowledge of philately with others? Please consider taking your time to write an informative and scholarly piece for the RPSC’s flagship publication, the Canadian Philatelist. Please contact our esteemed editor , Herb Colling(hacolling@cogeco.ca), or a member of our talented editorial board: Gray Scrimgeour, Richard Gratton , Rob Timberg and Francois Brisse. We have had requests to publish the newsletter in French. To do so, we require volunteers to assist in this regard. If you are willing to assist, please contact me or Mike. Following the Annual General meeting of the RPSC, there are 14 members on the Board from across Canada. They are Ed Kroft (President), Sam Chiu (Vice-President), Arlene Sullivan (Secretary), Stuart Keeley(Treasurer), Jim Taylor (immediate Past President), Rob Lunn, Rob Timberg, Doug McAndless, Michèle Cartier, JJ Tillard, Lawrence Pinkney , Hugo Deshaye, Mike Walsh and Joel Weiner. Our next Board meeting is scheduled for September 30. The Members of the Board of Directors will be continuing to work on strategies to gradually implement various components of the strategic plan vision statement and objectives set out in the last newsletter. The RPSC will need the help of its members to do so and hopes that the members will assist where possible. David McLaughlin is the International Liaison Officer of the RPSC and Chair of this Committee. Charles Verge, Sam Chiu and Jim Taylor are members . David publishes a newsletter called the International Exhibitor which is essential reading for those who wish to exhibit or attend international stamp shows. Contact David for a copy at david.mclaughlin@rogers.com. The RPSC has a Committee that deals with the accreditation of Philatelic judges in Canada. Joel Weiner heads this Committee. The RPSC is always looking for dedicated individuals who are looking to apprentice in aid of becoming accredited as a judge at the local or national level. Joel can be reached at jweiner@ualberta.ca. The RPSC hopes to continue to provide members and non-members with current/ additional information about the Society operations and topics in philately. 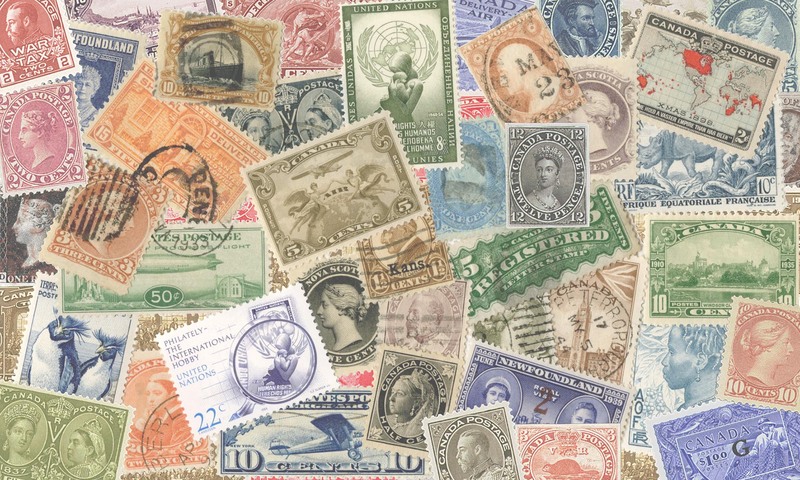 If you have done a PowerPoint presentation on philately for a chapter meeting or organization and you think it would be useful for others to see on our Website, please send it to me and the RPSC will consider it for publication on our Website or as a presentation to be made available to other Chapters. Any Ideas to Improve the RPSC? Want to Volunteer? Want to Help Recruit New Members? Please do consider making a tax deductible charitable contribution to the RPSC Foundation. More on this topic in the upcoming months.